The International Buddhist Ethics Committee, on October 25, 2017, decides once again to reaffirm that all the organizations in which Ashin Wirathu participates not only are illegal and genocidal under the International Law, but also constitute False Buddhism in the light of Buddhist Law, betraying Master Gautama's message of peace and justice. In this regard, concerning the visit of Ashin Wirathu to Mahachulalongkornrajavidyalaya University (MCU), which happened in March 2016, this action by the MCU is denounced as an act of Complicity with violations of Buddhist Ethics and Human Rights carried out by Ashin Wirathu and the State of Myanmar. The International Buddhist Ethics Committee confirms the fact that both Ashin Wirathu and the government of Myanmar led by Aung San Suu Kyi are working toward the same goal, which is the Genocide and Extermination of the Rohingya People, reason by which any support to both figures must be sanctioned. 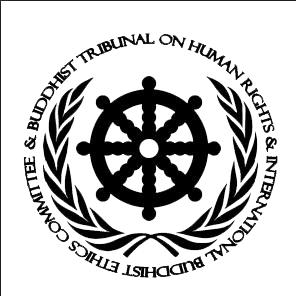 The International Buddhist Ethics Committee confirms that Mahachulalongkornrajavidyalaya University (MCU) has applied to be accredited by the United Buddhist Nations Organization (UBNO), so it is decided to veto or block the possible institutional membership of MCU within UBNO for being complicit of international crimes. Finally, the International Buddhist Ethics Committee congratulates those Buddhist Universities around the world who maintain their ethical purity and condemn the False Buddhism of violent groups. Evidences of Case "Aum Shinrikyo & Aleph cult"